How to Potty Train a Dog – It’s As Easy as 1 – 2 – 3! 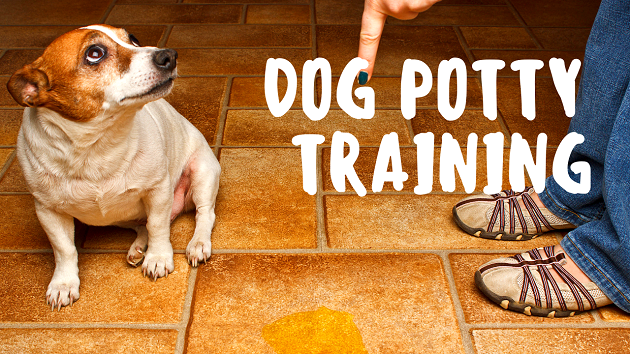 An old dog can be taught new tricks and thankfully, potty training is one of them. For a lot of dog owners, learning how to potty train a dog can be a very frustrating endeavor; but it doesn’t have to be! 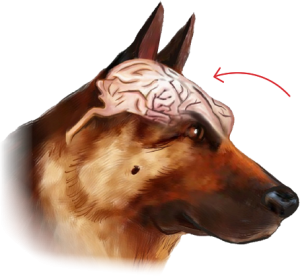 Whether you have a new pup, who is just starting out on his potty training journey, or you have an older dog that you’ve just adopted or rescued, I’m going to teach you about a process called shaping that will teach your dog to think for itself and solve problems on his own. 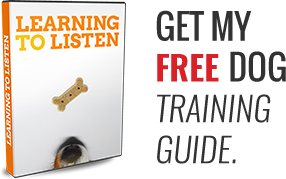 If this is done consistently, I promise the rest of these dog training instructions will be a walk in the park! 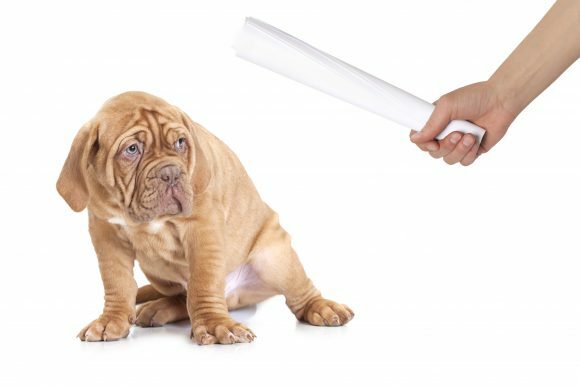 In this article, we will also be taking a look at some of the reasons most dogs fail to become potty trained, and how to avoid these pitfalls altogether. 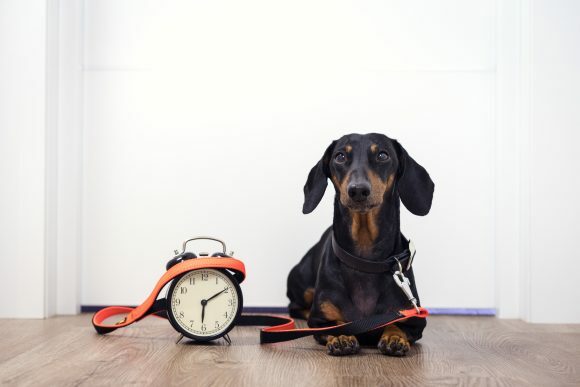 You’ll learn some realistic expectations about how long it should take you to potty train your dog. This way, you won’t get discouraged by thinking your dog should be house trained after only working with your dog for a week. So, let’s get started. Want to Potty Train Your Dog FASTER? The #1 reason puppies and dogs are dropped off at animal shelters every year is due to housebreaking issues. Many new dog owners do not realize how very important it is to potty train a puppy or adult dog. Dogs are not born knowing human expectations. Dogs do not spring forth from the womb knowing that having accidents “inside” the house is wrong. Don’t set unrealistic expectations! Young pups do not have fully developed bladder muscles until they’re at least 4-6 months old. So, depending on how old he is and the size of your puppy, it’s unrealistic to expect him to be potty trained before this time. It will be helpful to keep in mind that your puppy is only able to hold their bladder 1 hour for every month old he is. So if your puppy is two months old, they can hold it for about two hours. Don’t go longer than this between bathroom breaks or they’re guaranteed to have an accident. For Adult Dogs: If your dog is older than six months old, he’s got a bladder that is fully capable of holding it, so lucky for you, you should be able to fully potty train your dog in less than 30 days by following this program. And you might just find your dog may potty train in as quickly as 10-14 days. That’s a win for you! Clean up any accidents in your house completely with an enzyme cleaner. This is very important because you do not want your pup to smell somewhere he has previously marked because he will return to that spot again and again. And on that note… If Fido has an accident in front of you, and you scold, yell or punish, you will only teach Fido not to take his potty breaks in front of you – Do not punish for accidents. Your dog is never hateful, spiteful or malicious in his thoughts and actions. Your dog, is not your enemy – he is your partner. Treat him with respect after all you have been entrusted as his steward. Teach your dog where he SHOULD take his potty breaks, instead of trying to use punishment to teach him where he should NOT go potty. If you focus on what you want him to do, instead of what you don’t want your dog to do, you’ll get faster results. Teaching your dog where it’s OK to go is very important, and one of the reasons why so many people are never successful in potty training their dogs. They just spend too much time yelling at their dog for peeing and pooping in their home, and never actually reward and praise him for going where he is supposed to go. After all, how would a dog even know that it’s supposed to go outside? Dogs don’t speak English, and just because we might yell at our dog as we catch him in the middle of peeing on the floor and then rush him outside where he finishes it off… doesn’t mean we did an effective job at telling him that outside was where he was supposed to go. We are usually too focused on getting him NOT to go inside, instead of going outside. It’s important you establish a spot while potty training that your dog knows is where he needs to perform his duties. You must take them there every time except of course when you are away from home. This is extremely important in the dog potty training process. Pigs actually learn this all on their own but we have to teach our furry friends. On a side note, a puppy’s mother can actually do a lot of the potty training for your dog. I know of several reputable breeders who tell me that the mother dog trains their pups not to eliminate in their nests. From the moment a puppy is born its mother is teaching it that the NEST is the place where it eats & sleeps. One of the first rules Mama Dog starts to teach her pups is NO peeing or pooping in the family nest – That’s Disgusting! And she makes them follow her outside. 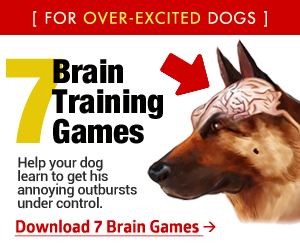 …so with a bit of luck, hopefully you got your dog from a breeder who teaches these techniques. When you suspect your dog is ready to go take him to the potty breaks spot. The signs are usually pretty clear. They’ll start sniffing around or walking a little funny. If it’s been a couple hours it’s probably best to just take them out. When he starts to go at the potty spot say your command whatever it’s going to be. We’ll use “go potty.” After he eliminates give him large amounts of praise and a special treat. Note: Fido gets rewarded NOT when he starts to go, and NOT after he comes back to the house, but as soon as he finishes. Yes – you must take him out and stay with him. Fido quickly learns that eliminating outside gets a tasty reward. You could also use your clicker here if you’re using one. Your dog lives for your praise so needless to say it’s important in dog potty training as well. 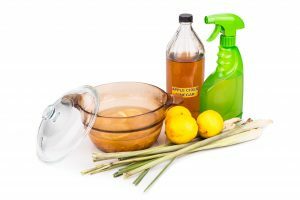 Here’s one thing we’ve found that works really well, especially for people who will be taking their dog with them over to others peoples house and don’t want to be embarrassed when Fido eliminates on the carpet. Get a bell and attach it to a rope or something so it can be hung around the doorknob. Then through the shaping process teach your dog when he bumps the bell with his nose he goes outside. It may sound silly, but teaching your dog how to ring a bell will make a huge difference in your potty training. First you need to get your dog or puppy used to the sound of the bell. For the first week, help your dog adjust to the sound of the bell by attaching it to the doorknob of the door you go out. This will help to alleviate any fears associated with the noise of the bell, but it will not teach your dog to ring it. You Must Teach Him the How Before WHY! The next step is to teach your dog to ring the bell for a treat. Your dog has to be motivated to ring the bell, and in the beginning going outside isn’t enough to motivate him. But, if you teach him to ring the bell for a treat, he will quickly learn to ring the bell. You’ll want your dog to ring the bell with his nose, so make sure you hang the bell so it is nose level. It’s an instinct for your dog to want to investigate things you put near his muzzle, so he is likely to touch the bell lightly with his nose. Be ready for that moment and click and treat. 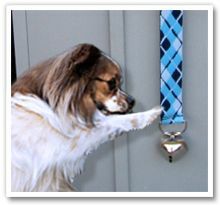 If he is apprehensive, put the treat very near the ribbon of bells so that he almost HAS to touch them in order to get at his treat. When he touches, click and treat! Once he seemingly has this idea down, move the string of bells to the left or the right of your dog and see if he moves to go and hit them with his nose; if he does click and treat! Next try moving the bells above his head and then closer to the floor. If he is chasing them with his nose in an attempt to ring them, then he understands what you want! When he understands what you want, you can begin giving it a command. After several days you can then change its meaning. Congratulations, you now have a puppy or dog ringing the bell consistently. Next, you’ll praise him and go outside with him. He will at first be confused and will probably go through several days of persistent bell ringing. Patiently go outside with him and quietly praise him for bell ringing. Soon however, he will realize that bell ringing = going outside. It’s one of those trained behaviors that’s SUPER simple to teach any dog, but really impresses your friends and family. But more importantly, it gives your dog a way to actually tell you he REALLY needs to go potty. This comes in VERY handy when you don’t happen to be in the same room with your dog when nature calls… but with the ringing of the bell, you can hear your dog asking to go outside from any room in your house! That’s pretty cool when you think about it. You can pick up a dog potty training bell here. This is a big one – In order for you to be successful at potty training, you need to set up a schedule, regardless of your dog’s age. Whether he’s a full-grown dog or just a pup, you have to be consistent. 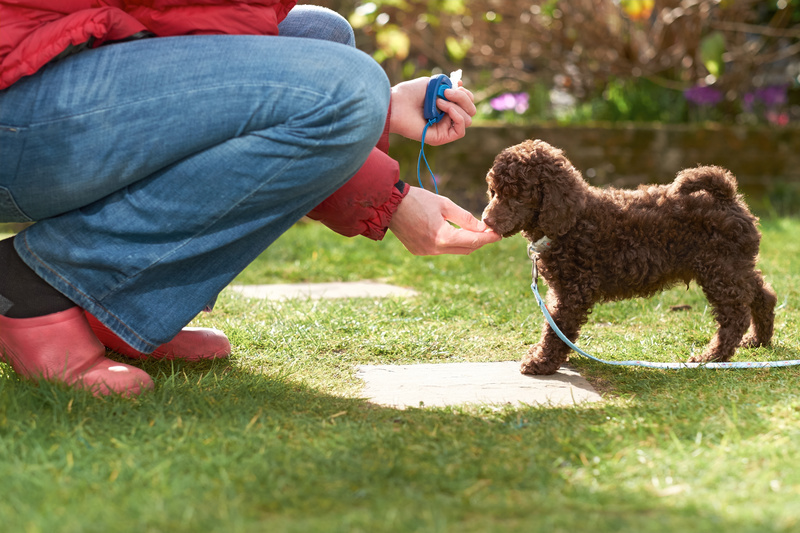 If you don’t have a routine in place, you can start by taking your puppy out every two hours. Your puppy needs to be in his crate when you are gone, aren’t supervising him and while he’s sleeping at night. This will help teach him to hold it for extended periods of time. Once you return or wake up, you should immediately take him out of his crate and continue to take him out every 2 hours. 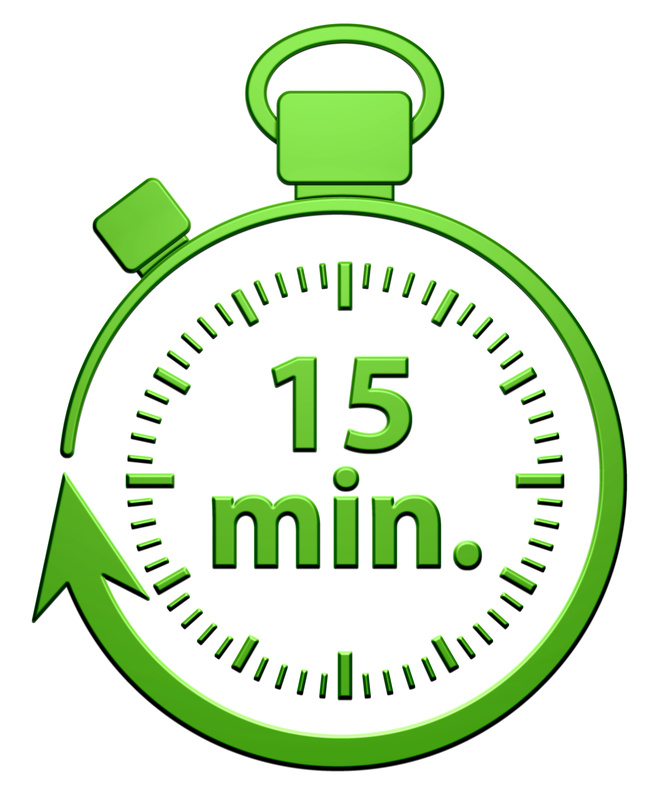 A 15-minute increase is in line with your puppy’s age if you start him at 8 weeks. But regardless if he’s 8 weeks, 8 months or 8 years, adding a time gradually will help ease him into controlling his bladder without either of you feeling too much anxiety. Puppies generally have to use the bathroom after eating or drinking, after waking up from a nap or if they have been playing for a while. So although you could take your puppy out after you see they have woken up from a nap in order to avoid a mistake, that won’t keep him on a schedule, and that’s what you want to do. If I take my pup out at 10 a.m. and he takes a 30-minute nap in his crate, that would put us at 10:30 a.m., which is 1 ½ hours away from his next scheduled potty break. So, instead of taking him out, I will place him in his crate until 12 p.m. and then let them out of his crate to go potty. I do this each time the scheduled potty breaks fall out of line with the schedule – with the exception of after eating or drinking water. If I take my puppy out at 7:30 a.m. and feed him at 8 a.m., I will take him back out 15 to 30 minutes later and start my 2-hour schedule from that point. I know I keep mentioning this, but it is SO IMPORTANT for you to understand that in the dog potty training process, there are going to be accidents. What you do when your dog has an accident is very important. 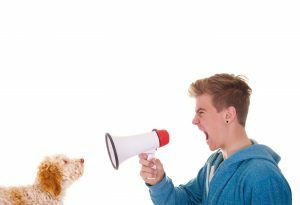 Yes I know that nobody likes cleaning up after the fact but if you react negatively your dog will start to associate your anger or frustration with him going to the bathroom and will be afraid to eliminate around you. I would say this is the biggest mistake people make while dog potty training. So instead of reacting negatively by yelling or even rubbing their nose in it concentrate more on heavily rewarding the good behavior. Now your family has a potty trained dog they can enjoy in the house or if you’re dog sitting you can return the dog fully potty trained to the owner with of course a small bill! What About Potty Pads? Should You Use them While Potty Training Your Dog? Anyone who is familiar with my training philosophy and my writing, knows my answer to this question. NO, no, no, no, don’t do it, and NO! I know this is a controversial topic and have heard from several of you who have never had a problem with puppy pads and transitioning your pup to the outside. This method of “house training” we used to call “paper training” because people used newspapers to give the pup an appropriate place to potty. And, before the invention of puppy pads, this kind of training was actually more effective! Why? Because most people don’t leave newspapers scattered on the floor all over their house. Think about it; unless you are a hoarder, you probably don’t have a bunch of newspaper on your walls or on your floor. So, once the newspapers disappear the puppy is more likely to acclimate to going outside. Potty pads aren’t like newspaper. Potty pads are soft and plush. Potty pads feel like your carpet, your clothes, and your towels. So when the potty pads disappear the pup begins to use soft things he finds on the floor or walls of your house. And, let’s face it… there are a lot of soft things in the floor of our homes! Personally I would rather not teach my dog to take potty breaks inside my house.It is counterintuitive if I want him to learn to take potty breaks outside. So it is better for me to get him outside every two hours, rather than to allow him to form a bad habit. 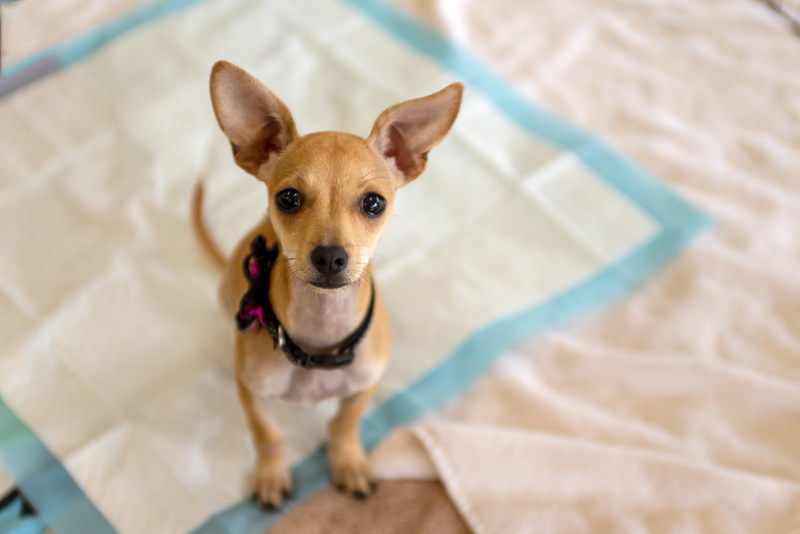 Stop thinking that potty training is about your puppy! Potty training is all about you and it is your responsibility when he is young to help him be successful. Get him outside about every two hours, monitor him outside and when he is inside and be diligent! Sure, accidents happen. But, if you make it your goal to ensure his success, you will both be happy in a short amount of time!